People always use the sayings "a smile says a thousand words" and "a smile seems to help make the world go round." It is one of the first defining features of the face that makes the first impression upon meeting people. Due to that, it is important to take care of one’s smile with proper oral hygiene. Nonetheless, most people do not spend as much time toward doing that. When a patient continues poor oral hygiene practices, it will lead to gum disease and can then advance to periodontal disease in the patient. One of the symptoms of the disease is gum recession in which the gums wear down or pull away from the teeth. Not only can this condition be visually displeasing to the individual, but it can also increase health risks. Oral appliance that does not fit properly. While these are only a few of the potential causes, there are other possibilities as to what can cause gum recession. In fact, hormonal changes have been known to play a contributing factor in some cases. Regardless of the cause, regular oral hygiene may not be enough to remedy the situation and reverse the problem. The last two signs are more common in the advanced cases and are also signs of a larger issue. While treatment for mild levels of gum recession is not necessary, it is still important to seek professional guidance. If the patient can prevent the condition from getting worse with proper oral hygiene, then that may be the only necessary action along with regular dental checkups. If the patient does not take proper care of his or her teeth, then the condition will get worse and require professional treatment. At Gray’s Periodontal Center, we offer a variety of oral surgical techniques in order to help treat a patient’s oral health issues. To help treat gum recession, we offer patients soft tissue grafting, also known as gum grafting. To help cover up the exposed tooth root, gum grafting will involve removing a portion of gum tissue from the patient or a donor and placing it over a specific area. Since each patient is unique, there are different ways and methods to complete this procedure. 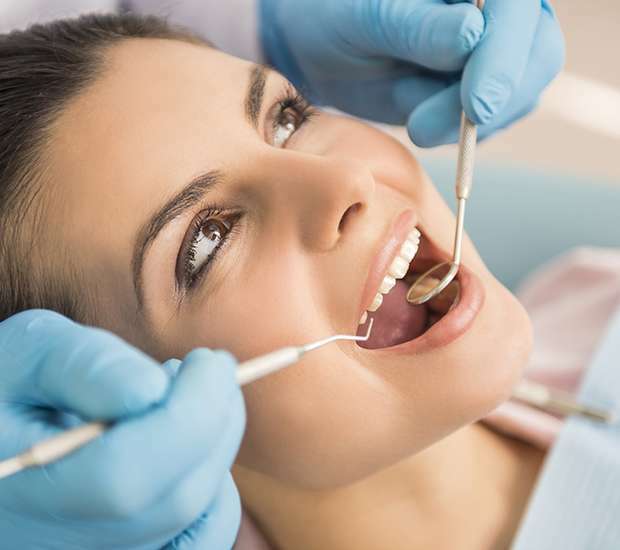 One of the more common methods for treating root exposure in teeth, connective-tissue grafts involve cutting a flap of skin in the roof of the mouth. After removing the tissue, we will place it over the exposed tooth root and stitch the flap back down. The pedicle graft is for patients who have a large amount of gum tissue to spare. Instead of removing tissue from the roof of the mouth, the periodontist removes some tissue from the area around the tooth that needs repair. We will create a partial flap so that it remains in the mouth and pulls the gum to cover the root. We will then stitch the gum into place. The free-gingival graft is more common in patients with thin gums. This method takes the gum tissue directly from the roof of the mouth without creating a flap. After, we will re-attach the tissue to the area around the tooth to complete the procedure. Following the procedure, the patient may need a ride home due to the effects from the sedative. The patient will need to be careful and avoid flossing or brushing the specific area of the gum line for a few days. The patient will also need to rinse the mouth with a special mouthwash to control plaque during this time. The patient will have to eat soft food until the gums completely heal. Any pain should dissipate fairly quickly after the procedure. If that is not the case, give us a call immediately. We can help determine what is continuing to cause the pain. 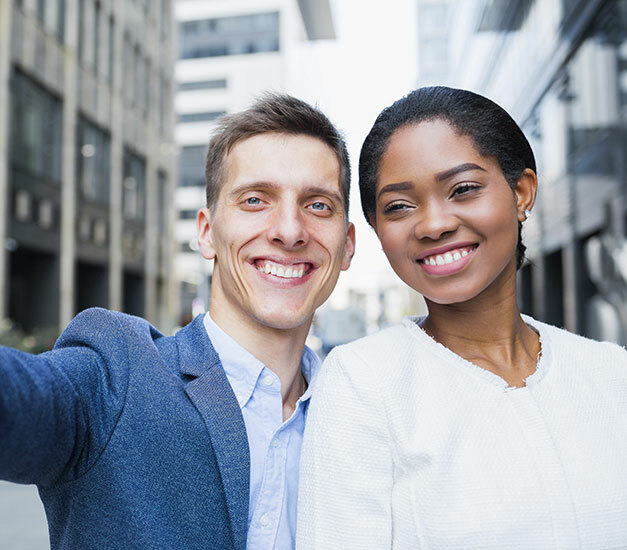 If you need a gingival grafting procedure or want to schedule an appointment, give us a call today.